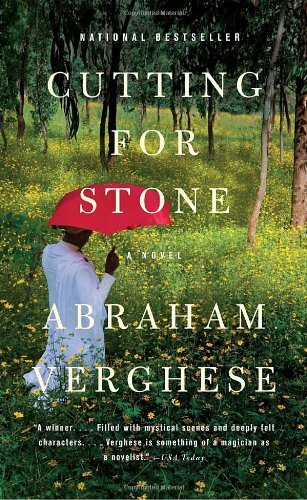 Cutting for Stone is a very well written book about two brothers, siamese twins but separated at birth, born to a nun in a small hospital in rural Ethiopia. The boys are taken in by two Doctors at the hospital when their mother dies at birth, and their father – the most renowned surgeon in the area – runs off. It’s a beautiful book – very well written and thought provoking about the journey of one twin to make peace with both his brother and his past while trying to establish a place for himself in the world. It gives you a window into life of Indian surgeons in a remote Ethiopian hospital in mid/late 1900s. It was sad, which any good book should be, but also hopeful and enthralling. Definitely a good read, and I recommend it to anyone looking for something a little unorthodox but very well written.